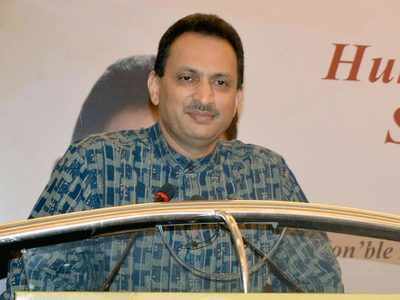 Skill development minister Ananta Kumar Hegdeon Wednesday said Sanskritwas going to be the coding language for future supercomputers. Sanskrit could be the better language for computer algorithm design, Hegde told reporters after delivering an address on skill development at Calcutta Chambers of Commerce. “While we are becoming too dependent on English in our country, we become unaware of the fact that eminent scientists of the world are coming to the view that Sanskrit is the language for future supercomputers,” he said, adding that in many European universities Sansktrit was being taught again. Referring to the skill development programme, Hegde said the Centre had already started the Indian Skill Development Service (ISDS) on the lines of the IAS and the IPS. “Under the National Skill Quality Framework, we have started the Indian Skill Development Service which will be taught in the Indian Institute of Skill. It will be a top-level institution,” the Union minister said. He said Prime Minister Narendra Modi had laid the foundation stone of the first Indian Institute of Skill in Kanpur and each state was slated to have one such institute. “The Centre will give a sizeable amount to every state as matching grant for such an institute, but the state has to bear the rest. If the state gives the proposal, the Centre will come forward. In a federal system the Centre can’t entirely take a decision,” he said. “This is part of our objective to give directions on skill and proper infrastructure aimed at taking education outside the four walls (of the classroom),” he said. Stating that the conventional engineering courses were not producing enough employable candidates, Hegde said there had been no mapping of requirement of BTech, MTech and civil engineers. “We have to change that mindset and predict how many people will seek jobs in the next 10 years…In future we will have two crore people seeking jobs while 67 per cent of those working will quit their present jobs and shift to another. We need to map that segment,” he said. Hegde said the Centre had also started 18 India International Skill Centres with 18 leading corporates from different countries, including Japan, Germany, England, Australia. One such centre would be set up in Kolkata. The Union minister said the Centre was coming up with an education system for school students aimed at enhancing children’s applied mindset and making it stronger so that in future they would be able to face problems and increase their capability of thinking and working.